What do David Neelman, founder of Jet Blue, John Chambers, CEO of Cisco, and business mogul Sir Richard Branson have in common? They along with Pink, Ty Pennington, Adam Levine and countless other high profile achievers have publicly embraced their diagnosis of ADHD, and for good reason. In today’s episode, my guest and I discuss how this trait is a blessing, not a curse. Today’s guest is a Medical Doctor, board certified Psychiatrist and Distinguished Fellow of the American Psychiatric Association. 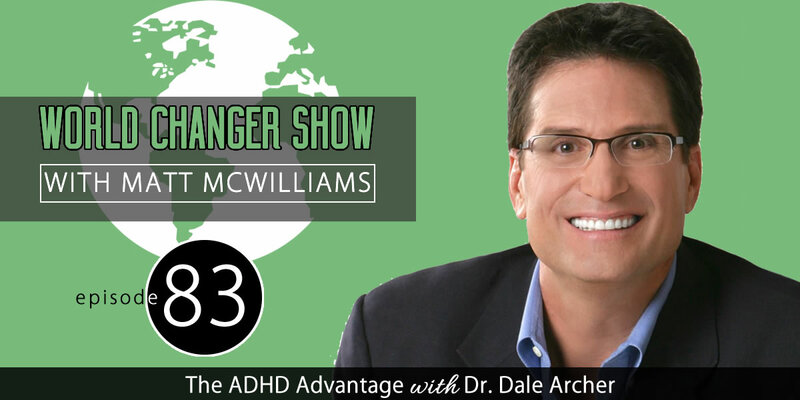 He is the founder of The Institute for Neuropsychiatry in Lake Charles, LA, a radio and television show host, author of the NY Times Bestseller Better Than Normal and the brand new book that is available today, The ADHD Advantage. What is the “Explorer Gene”? This interview is a great interview for everyone, not just those with ADHD. Dr. Archer talks about how we all process information in different ways. The key is understanding how you process information and then learning to use it to your advantage.